Nutrition has always been a key feature of Heide’s Pet Care – we’ve taken it one step further with our new store. 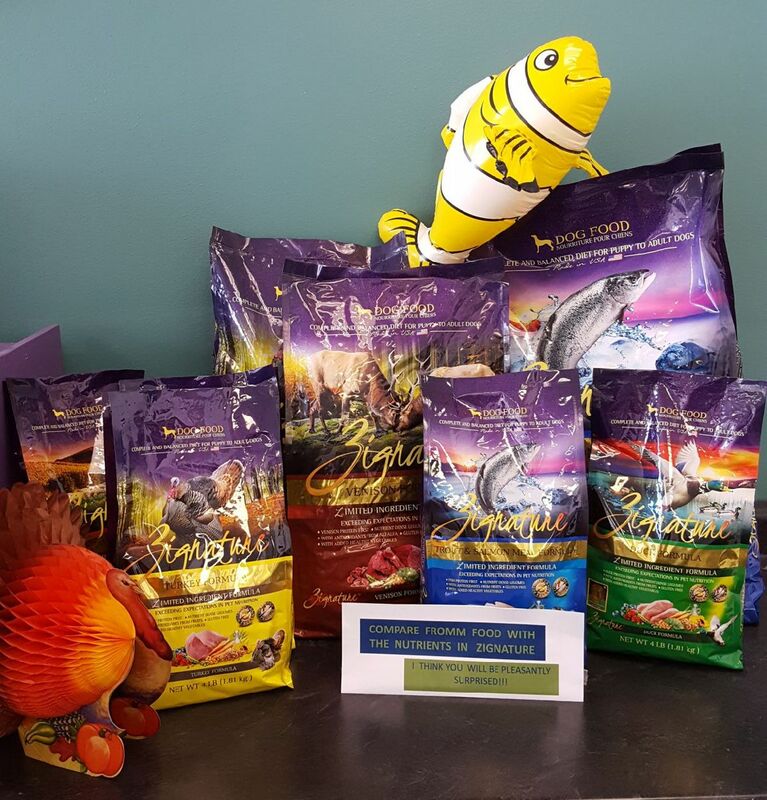 Combined with our dog training and doggie day care, you can purchase the best treats and dog food for your furry friends. Let’s go shopping at Heide & Dave’s Pet Care Store! We know how important your dog is to you so we sourced the best pet food providers. While we all consider our pets to be members of the family, their dietary needs are different than ours. As carnivores, they require a diet rich in animal protein. That’s why the first ingredient in any Zignature® product will always be quality meat or fish, backed by meat or fish meal, as the second ingredient. This isn’t just what your pet craves, it’s what they need to build a soft, silky coat, healthy muscles, and strong bones. NutriSource® pet foods ensure maximum bioavailability with all the nutrition necessary for a happy, healthy life. The percentage of nutrients – the good stuff in food – ‘available’ for your pet’s digestive system to convert into a robust body, strong bones, and shining coat. Simply, we are dedicated to the long term health of your pet. 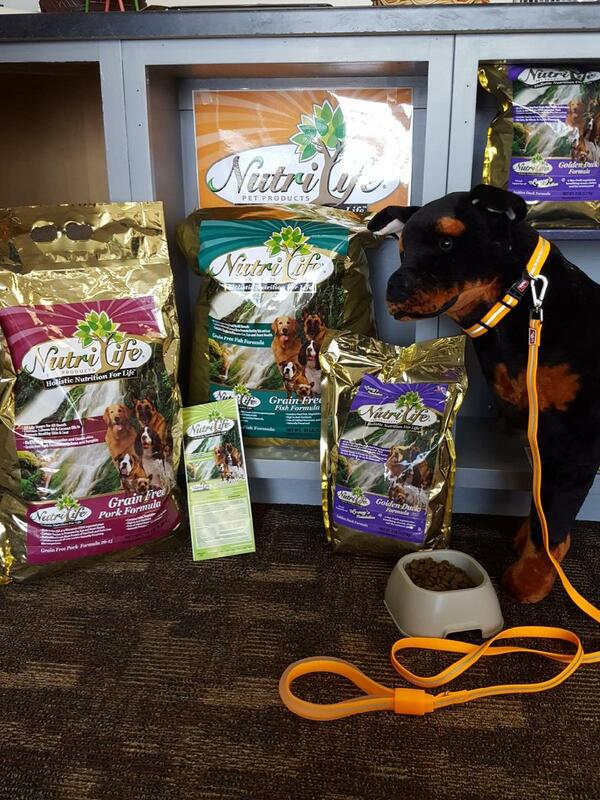 Each of our formulas takes into consider the nutritional needs of your dog or cat. 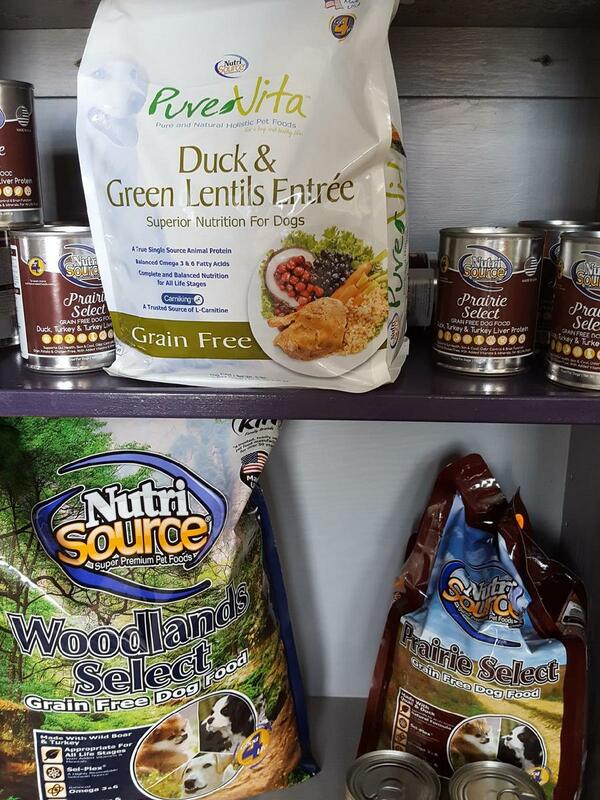 From our first recipe, NutriSource Adult Chicken and Rice, to our recent PureVita Grain Free Venison, we recognize the importance we play in nourishing your pet. When Doggie Day Care is in session, the day care dogs will be separated from the store by a door but still visible to shoppers. If you are interested in seeing the doggie day care in action, you can schedule your visit when day care is in session. Store hours: Mon, Tues, Thurs, every other Fri; 9-noon/2-5. Some Saturdays, by appointment or event. Contact Amy to make your appointment! See brochure for regular pricing schedule. 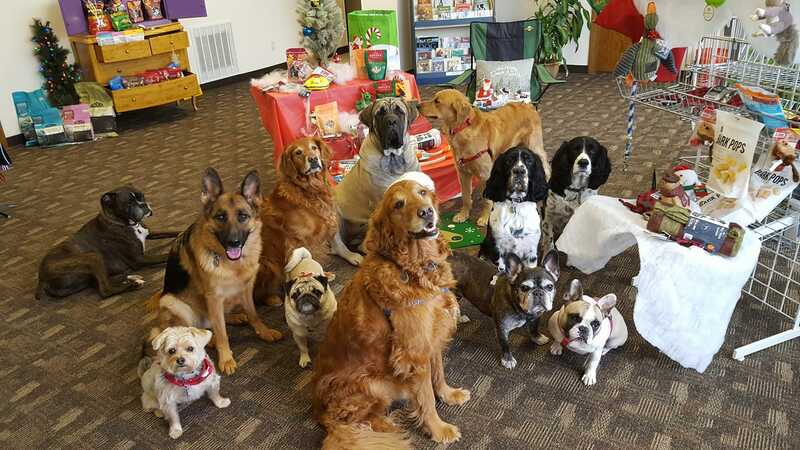 Enjoy this video of the doggie day care group going shopping! Doesn’t this look like fun! 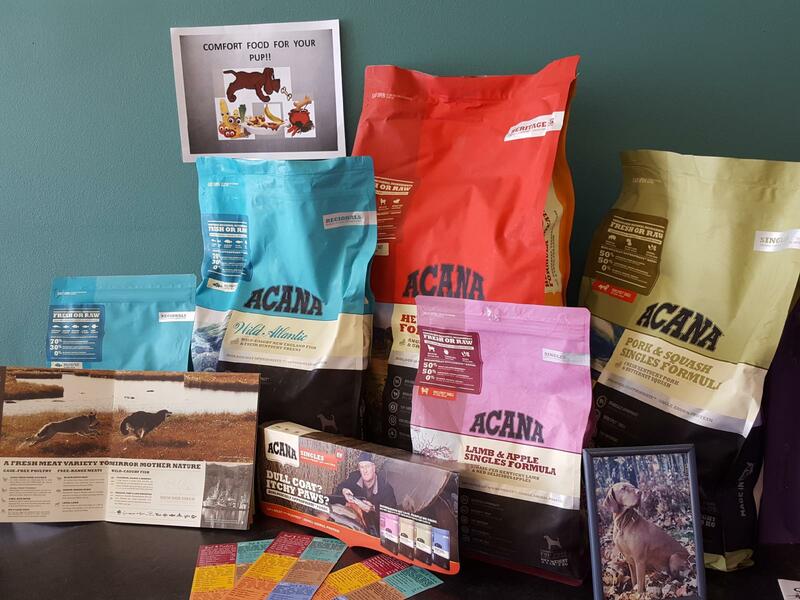 You will enjoy our selection of treats and dog foods!